Office of Sponsored Projects (OSP) processes the award and issues a summary Transmittal to Contract and Grant Accounting (CGA). CGA assigns a grant number and sets up the award in Banner. The Banner form FRAGRNT contains information about the award. The fund is set up on the Banner form FTMFUND and the budget period end date for the fund is entered on the Banner form FRMFUND. CGA requests the index from Finance Systems Management (FSM). When the index number is received from FSM, CGA enters the budget and notifies the PI and department contact via email. CGA administrator emails the Signature Authorization form. The PI completes the Signature Authorization form and returns it to indexcga@unm.edu. This will allow expenditures to be charged to the index. The current Signature Authorization form for a fund can be viewed in WebXtender from the Banner form FRAGRNT. To view the accounting distribution information for an index, access the Banner form FTMACCI. The fund that is associated with the index will be displayed under the Accounting Distribution block in the fund field. If an index is needed prior to the official award notification, a Request to Spend Funds form may be completed and submitted to the Office of Sponsored Projects office. 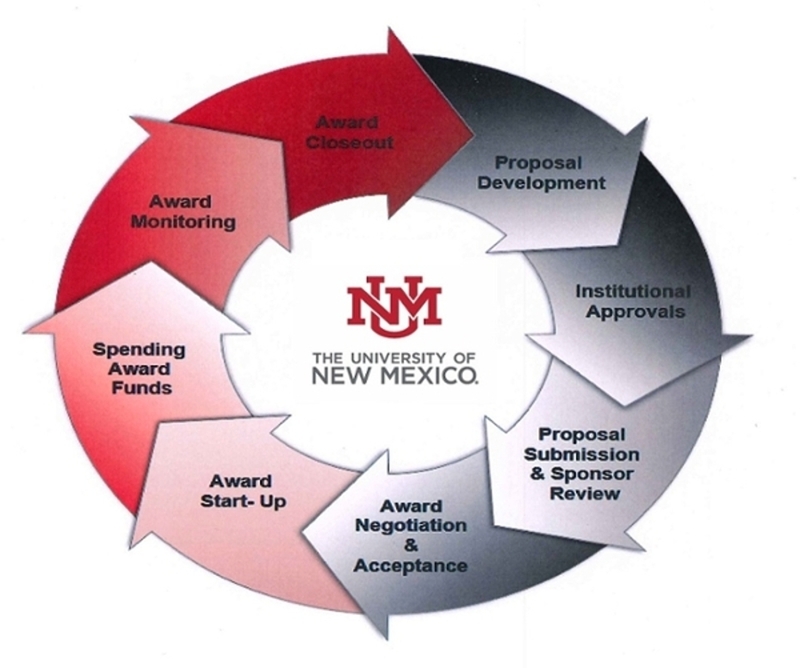 All expenditures must be made in accordance with the policies and procedures of the University of New Mexico, as published in the University Administrative Policies and Procedures Manual. In addition, applicable federal and sponsor rules and regulations must be followed. As a condition of receiving federal funding, we agree to follow federal policies, including Office of Management and Budget (OMB) 2 CFR 200-Subpart E that provides principles for determining costs applicable to work performed on contracts and grants. In addition to the specific guidelines of a sponsoring agency, costs charged to sponsored projects are evaluated on three criteria: allowability, allocability, and reasonableness. They must be allocable to sponsored agreements under the principles and methods provided herein. They must be given consistent treatment through application of those generally accepted accounting principles appropriate to the circumstances. They must conform to any limitations or exclusions set forth in these principles or in the sponsored agreement as to types or amounts of cost items. The cost has been incurred solely to advance the work under the sponsored agreement. It benefits both the agreement and other work of the institution, in proportions that can be approximated through use of reasonable methods. It is necessary to the overall operation of the institution and is deemed to be assignable in part to sponsored projects. Reasonableness: The cost must be able to withstand public scrutiny, i.e. objective individuals not affiliated with the institution would agree that a cost is appropriate on a sponsored research award. What are the rules for spending funds? University Administrative Policies and Procedures Manual - Sections 2400-2499. Increase efficiency in the closeout process for the Principal Investigator, Department/Unit Administrator, the Office of Sponsored Projects (OSP) and Contract & Grant Accounting departments (CGA). Enhance communication, tracking, and accountability during various stages of the process. The fund closeout process begins when the budget period end date expires. The Workflow process runs nightly and checks for funds ending in 90 days. An e-mail is sent to the Principal Investigator and Account Administrators. CGA works with the Account Administrator via Workflow to prepare to close the fund. A Closeout Reconciliation form will be sent via Workflow which will need to be signed and returned to CGA. The PI and or department staff work with CGA to insure that all expenditures are allowable. CGA reconciles and closes the fund. CGA prepares any Financial Reports that are required and the PI prepares the Technical or Progress Report. When the fund is closed, the beginning of the fund title in Banner FTMFUND is changed to FROE (Final Reconciliation Of Expenditures). The fund can also be FROE'd outside of the Workflow system, but this process is followed only when absolutely necessary. Per OMB 2 CFR 200 Subpart D- §200.333: Financial records, supporting documents, statistical records, and all other records pertinent to an award shall be generally retained for a period of three years from the date of submission of the final expenditure report, as authorized by the Federal awarding agency. The only exception is if any litigation, claim, or audit is started before the expiration of the 3-year period, the records shall be retained until all litigation, claims or audit findings involving the records have been resolved and final action taken. Please be aware that record retention dates for federal sponsored awards may differ from the retention dates published in UAPPM.